After the Janus V. AFSCME decision, State Policy Network affiliates went public with their intentions to launch opt-out campaigns across the country using an assortment of brands to obscure who is actually behind these efforts. These campaigns put out misleading information in attempts to convince union members to drop their membership. 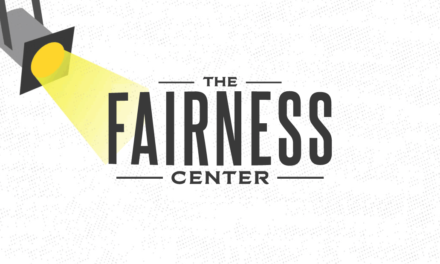 In Pennsylvania, the Oklahoma registered organization Americans For Fair Treatment, with a board comprised of State Policy Network affiliates including the Mackinac Center, the Empire Institute, and the Commonwealth Foundation (MI, NY, and PA affiliates respectively), made their plans public in a handful of interviews. One of the questions many who follow the labor movement have asked in light of the Janus decision is how successful will these efforts be. We know from statistics that in 2017, despite opt-out efforts from State Policy Network affiliates, union membership was up, largely driven by young adults. In fact, Philadelphia saw one of the biggest wins for labor as Philadelphia airport workers voted to unionize. We also know State Policy Network affiliates have lied about the success of these campaigns exaggerating their numbers in order to drive favorable press coverage their way. One might ask how these State Policy Network affiliates who have campaigned against the minimum wage, have denigrated teachers and home care workers, and have the same funders as hate groups have nationally would have credibility with union members. 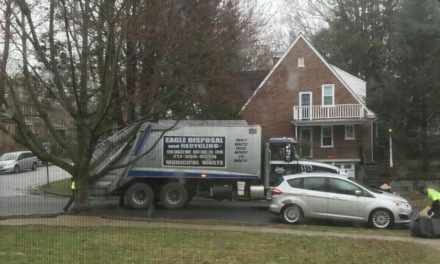 As it turns out, they don’t. This was evidenced by recent moves from the Commonwealth Foundation. 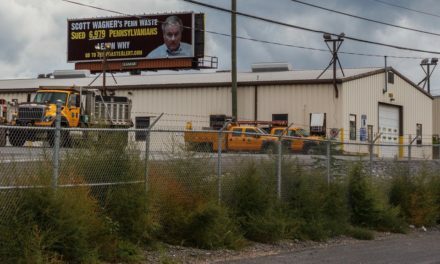 The Koch-funded front group thought it would be a good idea to spread some of their anti-union propaganda during the American Federation of Teachers’ national conference that took place in Pittsburgh recently. During the conference, AFT members took to the streets for better school funding and promised to fight back against these efforts. 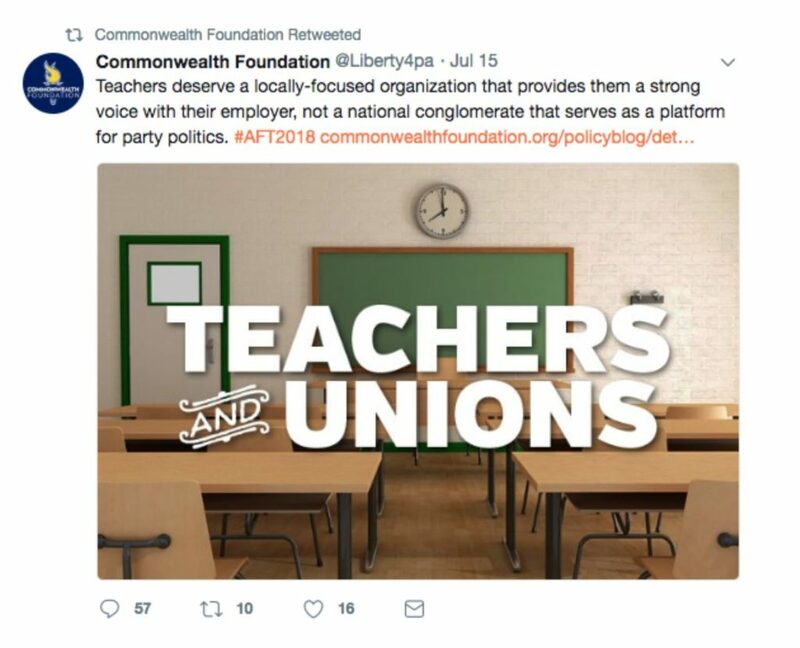 The Commonwealth Foundation took it upon themselves to use the conference’s official hashtag #AFT2018 to bash the union. They were promptly ratioed. In fact, not a single reply to their tweet was supportive of their anti-union efforts. What this embarrassing failure by the Commonwealth Foundation underscores is these Koch-funded front groups have no credibility with union members.